Does your class start today? Here’s our Getting Started for Students page. Be sure to check out the rest of the Student Resource Center for the day is done! Current and future students, take a few minutes to learn about your state’s virtual high school. We offer complete, state-approved online courses to middle school and high school students throughout all of North Carolina. We also have classes for private school and home school students. After you watch the video, see the resources that we have below. They will all help you be a successful online student. 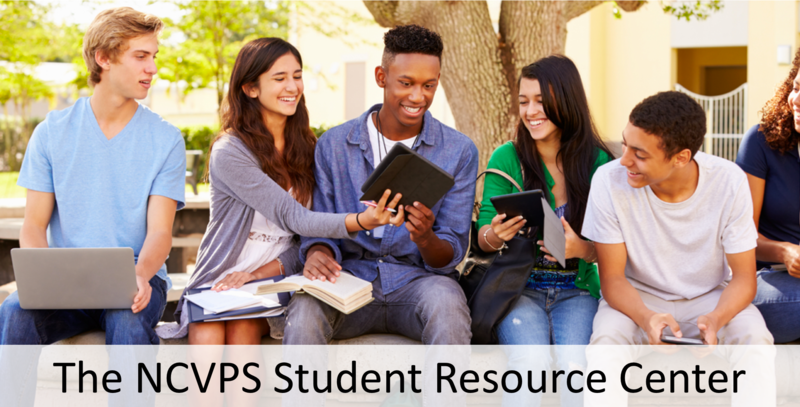 Student Help Page – We have a variety of resources to help NCVPS students. Getting Started for Students – Follow the steps in this list and you will succeed in your NCVPS course!